The blockchain industry in the United States is poised to really take off over the next 5 years, as some of the largest public companies based in the US are exploring blockchain technology. A new report, “United States Blockchain Business Opportunities and Outlook Databook Series (2016-2025),” from Research and Markets, the world’s largest market research and data store, breaks down the data and projects that the blockchain wave is going to be much bigger than most expected. 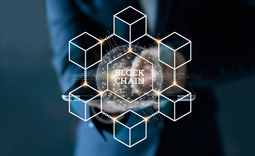 Per the report, the United States blockchain industry is expected to increase from $3.12 billion to $41 billion by 2025, indicating a growth of over $37 billion.Moreover, the industry is expected to reach this staggering growth by 2025, amounting to a compound annual growth rate (CAGR) of 44.5% each year. 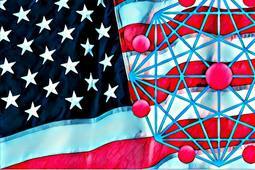 With all of these giant American companies beginning to explore blockchain technology, it’s no wonder Research and Markets project United States blockchain spending to increase from $3.12 billion to $41 billion by 2025. In fact, this could actually be a gross underestimation.Only time will tell how this industry evolves, but if there’s one thing for sure, it’s that blockchain is here to stay and this technology will impact almost every industry and down to our everyday lives. 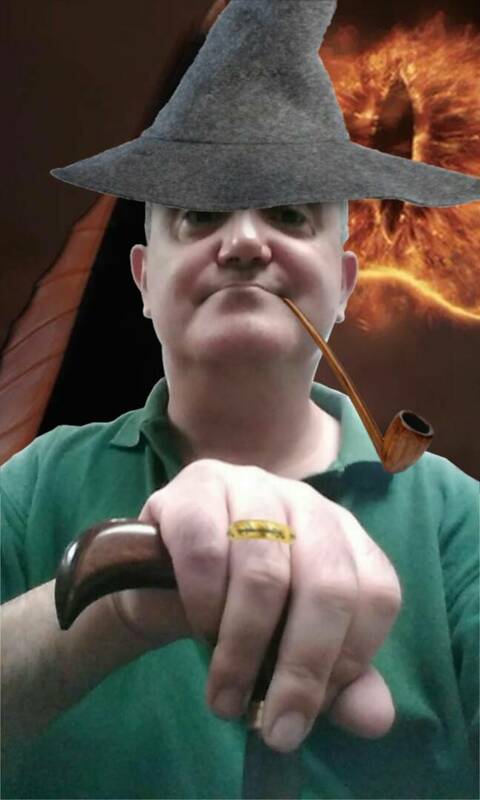 Francisco Gimeno - BC Analyst Hear ye, hear ye! The blockchain is here to stay, and thrive! Beyond the hype, there is a community which is growing stronger and better working on the blokchchain infrastructure, its yet important weaknesses and in spreading its benefits. 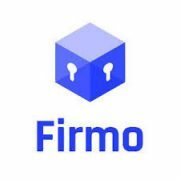 Firmo allows the tokens to be run on any blockchainThe terms of the deal, which marks eToro’s first acquisition, were not disclosed. “This acquisition,” eToro CEO Yoni Assia told Bloomberg, “will help boost our growth in the future tokenized economy. We aim to be active players in blockchain consolidation. ” And eToro may be ahead of the curve on this one– according to Bloomberg, tokenised assets will play a huge role in 2019 as investors seek to convert assets such as property and stocks into tradable digital assets. Founded in 2017, Firmo offers a programming language called FirmoLang that runs on a sidechain. Exchanges can leverage FirmoLang to create financial instruments such as P2P lending platforms or cryptocurrency derivatives with tokens. And Firmo is versatile, allowing the tokens to be run on any blockchain. Originally known for being a social trading platform, the company began bitcoin trading in 2013 via CFDs and in 2017 allowed clients to trade and invest in Ethereum, XRP, Litecoin, and other cryptocurrencies. eToro has raised $223 million since it was founded in 2007. Francisco Gimeno - BC Analyst eToro is one more (important) company going on tokenisation. Those who think crypto and tokens as speculative or just for money making should learn from this, as middle and long term the blockchain revolution means tokenisation everywhere possible. The art registry, Artory, has purchased Auction Club, a currently privatized database that contains information from over 4,000 international auction house sales, the Art Newspaper reports.Volume 0% The acquisition will merge the two companies immediately and will make Auction Club’s sales records from over 250 businesses in 40 countries publicly available for the first time. Records will begin to show up on the blockchain-based registry some time in May. Artory records the auction data on a permissioned (private) implementation of the Ethereum blockchain in a distributed ledger it calls The Registry.The Registry records events in an art works life cycle like when it’s gone under auction, what it sold for, when it sold, and what it is. However, if you thought you’d get to find out who bought that latest record-breaking artwork, I’m sorry to disappoint, but The Registry doesn’t record the details of art owners. 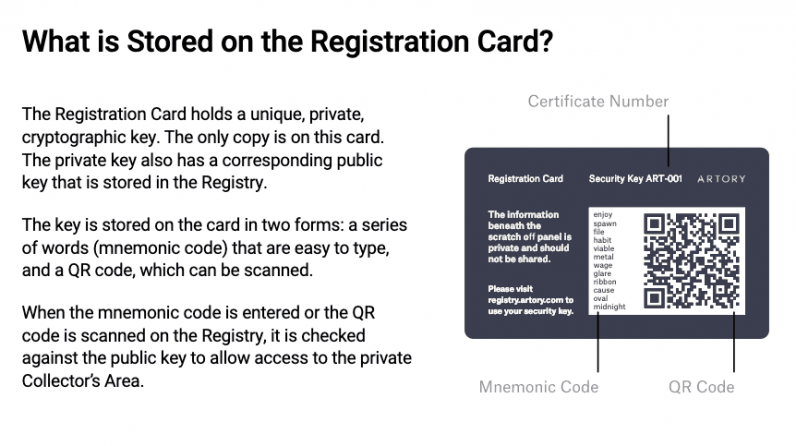 The registration card holds sensitive information like the seed phrase and “private cryptographic key,” open for the whole world to see. This key is also generated by Artory, so you can’t be totally sure you’re the only one to ever see it. Even if it is hidden behind a “scratch off panel,” it doesn’t sound particularly secure.If the registration card fell into the wrong hands, it could allow bad actors to alter information in The Registry. Hard Fork has contacted Artory seeking clarification on its security measures. Francisco Gimeno - BC Analyst Art in blockchain is a good idea, not just to know who are creators of an art work, but to deal with ownership's changes, all kind of records, and copy rights, etc. A centralised database could do that, but the database in a blockchain platform assures of immutability and deals with a very important factor in the world of art: trust. During two days, we will take the main stage to discuss EU regulation, stable coins, decentralized exchanges, security tokens, scalability issues, recent advances in consensus mechanisms and many more!Renowned speakers from the best blockchain and digital asset companies in the world will share their stories and insights on the market and its prospects. Francisco Gimeno - BC Analyst This event is more than a traditional Blockchain summit. It will be a very powerful meet up of minds, ideas, values, all entangled in what the French are calling their new blockchain revolution for the 4th IR. The venue is one of the best of the European co working/start up spaces, if not the best, and the speakers are amazing. Wish you were there? The new employees be able to work from wherever they want, report directly to Dorsey, and can even be paid in Bitcoin, if they so choose.“I love this technology and community. I’ve found it to be deeply principled, purpose-driven, edgy, and…really weird. Just like the early internet! 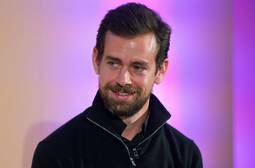 I’m excited to get to learn more directly,” Dorsey tweeted on Wednesday afternoon. Square already allows people to buy and sell Bitcoin on its Cash App, which is also a mobile payments platform that competes with Venmo.Dorsey said Square “has taken a lot from the open source community to get us here,” so this would be his way of giving back to the community—while also helping to further Square’s “broader interest” of having an accessible financial system for the Internet. “This will be Square’s first open source initiative independent of our business objectives. Francisco Gimeno - BC Analyst Jack Dorsey (Twitter and Square CEO) announces this last experiment (growth hacking too?) with the laudable initiative of giving back to the open source community what they learnt from them. By sure, doing this, not only the open source community but Square will benefit too from it. Great thinking! 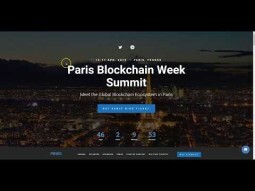 In advance of Paris Blockchain Week taking place from April 13-19, BlockchianReporter sat down with co-founder of the event and board member of Chain Accelerator, Michael Amar. 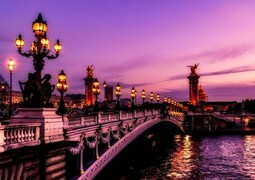 Paris Blockchain Week is a series of events taking place under the joint High Patronage of the French Ministry for the Economy and Finance and the Secretary of State for Digital Affairs, culminating in the Paris Blockchain Week Summit, which will be held on April 16 and 17. 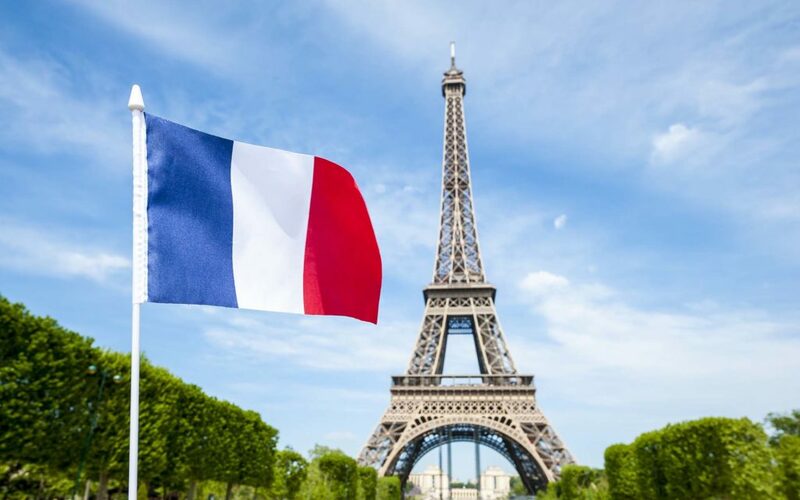 It will be the first international conference that will be held in France, dedicated to professionals in the blockchain and crypto-assets space boasts of attendees such as Bruno Le Maire, French Minister of the Economy and Finance and Wei Zhou, CFO of Binance. Last year, France slashed the tax rate for cryptocurrencies and overall, seems to have become much more supportive of the blockchain industry in recent years. France is fortunate to have very forward-looking government officials. Even our president has noted the potential of blockchain technology to provide greater transparency to existing industries. We also have numerous members of parliament, Jean-Michel Mis, Pierre Person, and Laure de La Raudière, for instance, that are pushing forward legislation to accelerate the development and adoption of the technology. There is a sense of urgency from these officials. They are not only recognising the potential of blockchain and cryptocurrencies, but they are also pushing for the necessary changes to foster the right ecosystem. Outside of parliament, we also see large French companies such as grocery chain Carrefour adopt the technology. Carrefour has successfully implemented DLT to track products from their farms to their stores, reducing the risk of health hazards such as Salmonella outbreaks. Europe, for the most part, seems to be one of the most progressive places for Blockchain. Would you say that there is greater support for cryptocurrency specifically or just blockchain? Europe is a place that strikes the right balance between innovation and consumer protection. Initiatives such as the EU Blockchain Forum have been set up by the European Parliament to not only progress the development and adoption of blockchain and DLT, but to make sure it progresses in a way that is safe for users. Initiatives and discussion at the European Parliament level have mostly focused on blockchain technology. But we see parliaments in specific European countries such as Malta and Estonia pass through legislation to make their country attractive to businesses dealing with cryptocurrency. The Maltese government passed three bills into legislation last year concerning both cryptocurrencies and blockchain. As a result, we are seeing major cryptocurrency businesses such as Binance relocating to Malta. Overall, Europe is one of the most supportive places for businesses relating to cryptocurrency and to blockchain technology. France has announced plans to spend about €500 million on blockchain over the next three years. In terms of long-term development, do you think Blockchain needs more of funding or positive legislation? What blockchain requires is the development talent with the skills to work on blockchain and DLT projects. At the moment, there is intense competition for developers in other technology sectors. We are currently seeing the banking industry and venture capitalist funded projects already securing the largest share of this talent that can build on blockchain and DLT. The funding we see from France and others such as the €340 million EU fund will help secure more of this talent with the goal of building blockchain projects for various sectors. Regardless of funding and legislation, the pool of talent with the skills to develop projects on blockchain will remain scarce in the near-term. However, in the longer-term outlook, funding and favourable legislation will help grow the pool of talent and will also attract more developers from other technology sectors to work on blockchain projects. Paris Blockchain Week has attracted some very powerful names to its lineup. At the same time, a member of the European Central Bank executive recently referred to Bitcoin as the evil spawn of the financial crisis. Do you think events like this help to change the minds of those in high places? 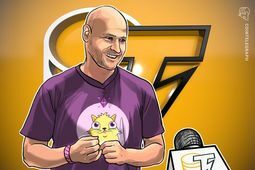 We have seen Jamie Dimon, the CEO of JP Morgan, progress from labelling bitcoin a fraud to recently announcing that he plans to launch his own internal cryptocurrency built on DLT. Events such as Paris Blockchain Week help these sorts of change in mindsets take place. These events educate executives and key enterprise players to make a difference. We hope to shine a light on what kind of benefits blockchain and DLT can offer, as well as which inefficiencies it can tackle. Let’s not give up on the European Central Bank executive just yet. The different countries in Europe (naturally) have different policies regarding blockchain. Can the industry thrive that way or are organizations like ‘Blockchain for Europe’ needed to ensure uniformity, at least in the private sector? Time will reveal whether different policies in different jurisdictions is the best approach for progressing development and adoption of blockchain technology. We will be delving into questions such as this at the conference and we will quickly learn which policies best suit the progression of the technology. It certainly seems advantageous to jurisdictions such as China and Japan where unexpected changes in policy have resulted in businesses having to change location or shut down operations immediately. Blockchain adoption in Europe is still in its early stages, and it’s still unknown what kind of long-term impact it will have on policies. In the short-term, initiatives such as Paris Blockchain Week will facilitate further discussion regarding the technology and how it should be governed. How has the bear market affected the progress rate of blockchain in Europe and France, specifically? Prices are always an important point of interest for the general public, but the development of the technology continues to progress in Europe and France regardless. Prices are more of a concern to speculators than they are to the businesses and developers building on blockchain. Projects do not need to launch their own cryptocurrency to apply blockchain or DLT; the power of blockchain lies in its real-world potential. However, the public often associates blockchain and crypto as one. Hopefully, as more awareness is built around the capabilities of blockchain, people will see that the technology can be utilized for much more than digital currencies.Apart from investors suffering losses, bear markets can be a good thing. They serve to get rid of some of the weaker projects from the market. Projects that started with weaker value propositions struggle to continue to fund project development and eventually have to shut down operations. Although this can cause pain in the short-term, it is a good thing for the overall health of the ecosystem in the long-term. What can we look forward to at the summit? The summit will cover several interesting topics that will showcase France as a leading tech and blockchain hub. 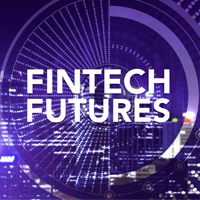 Some of the panels will delve into discussions points specifically focused on certain aspects the technology, while others will delve into the broader ecosystem and how we can best facilitate the continued growth and adoption of this technology. Matters such as regulation, including how France is spearheading blockchain regulation in Europe, and the role of corporates will all be important talking points. The panels will consist of pioneers operating at the forefront of the blockchain industry. The biggest innovators in the industry will address the biggest questions within a growing ecosystem, which should make for a thought-provoking and entertaining event! 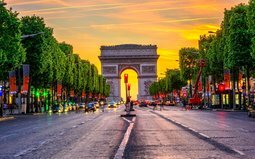 You can also look forward to lots of satellite events taking place around Paris for the entire week of the summit, organized by some of the biggest blockchain organisations in Paris. These events will include hackathons, dinners, parties, and much more. During the same keynote, Lubin also pointed out that just as nowadays there aren’t many “normal” people using blockchain-based systems, “there weren’t a lot of ‘normal’ people firing email around in 1983. In its simplest terms, a blockchain is a new means of structuring and distributing data. 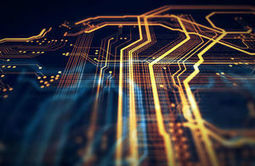 The technology enables financial companies and other institutions to create a digital ledger guarded by cryptography, which can be shared among participants during transactions. This allows authorised participants to alter the ledger without awaiting approval from a central authority, often resulting in faster and more secure transaction that saves financial institutions time and money. Since the mysterious origins of Bitcoin in 2009, numerous cryptocurrencies have been thrust upon the marketplace, allowing transactions to take place directly between users and can be exchanged – as regular currency can be – for goods and services. So why is there such on-going hype around cryptocurrency and is it masking the power behind blockchain technology? This year has commenced with a lot of turmoil in the cryptocurrency world. However, that has been necessary to preserve the long-term health of the market. Bitcoin is already amidst the throw of a turbulent year, with the recent ban on cryptocurrency advertising from the world’s biggest search engine Google and social media platform Facebook to proceed in June 2018. There are also rumours that Twitter will soon follow suit. Despite the industry currently in overdrive, key observers of the blockchain say the technology is bound to not only survive but thrive. The general outlook for blockchain in 2018 looks to be increasingly positive: Fiat service provider, Robinhood, of which over 1 million people have signed up for, announced their zero-fee crypto trading on February 22nd; March 15th saw the official release of Lightning Network’s first beta implementation for the Bitcoin mainnet, securing $2.5 million in seed funding; and one of the most important Polish cryptocurrency exchanges, Bitbay, has decided to add support for Ripple (XRP) and Infinity Economics Token (XIN), impulsing the internet of things (IoT) to the mass market. It is clear that the production of mass-market-focused products will finally be launching this year, making it a lot easier for the wider public to start building on and using the blockchain. What does this imply about the future of work? As widely proposed in recent news, the future is autonomous. We are already moving towards a workforce that could be purely operated with the combined use of artificial technology and robotics. The study of 46 countries and 800 occupations by the McKinsey Global Institute found that up to one-fifth of the global workforce will be affected by robot automation. According to the report, 39 to 73 million jobs may be eliminated by 2030 in the US alone, but about 20 million of those displaced workers may be able to easily transfer to other industries.But what if there was a way that the inevitable influx of automated workforces didn’t have to affect the world’s rate of human employability? What if there was a solution that could effectively convert the masses into fully equipped entrepreneurs, by applying one straightforward concept? 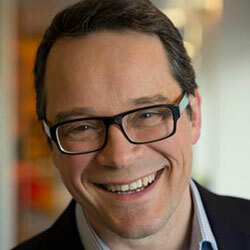 President and Executive Chairman of ORS GROUP, a leading Artificial Intelligence software company, Fabio Zoffi is on an incredible mission to empower 1 billion small entrepreneurs by the year 2040.In the words of Fabio Zoffi: “The future doesn’t have to be dystopian. ”How will he do it? By making the algorithms his company currently uses for the world’s largest companies (which until now have been extremely protected) available to small businesses and entrepreneurs by connecting them with the blockchain technology. Founded in Italy, ORS GROUP is a leading global supplier of cross-industry software solutions for optimising and automating business processes. For over 20 years the company has delivered sophisticated solutions using proprietary Artificial Intelligence, machine learning and big data analytics algorithms.ORS GROUP’s large international client base includes that of Fortune 2000 enterprises and span industries including retail, energy, finance and manufacturing. ORS GROUP’s software solutions save their clients over $1 billion yearly. A farmer living in a small village in Southeast Asia, running a family business that has carried on for generations. In light of increasing competitive pressure from global farming companies and distributors, the farmer is now struggling to make the necessary business decisions needed to survive and thrive in his industry. Hypersmart contracts can act as intelligent connectors, which activate AI algorithms (off-chain) to solve complex efficiency/optimisation problems utilising data stored on-chain. They can also release instant crypto payments. Together, these technologies can lead to significant improvements in global value chains, which even small farmers can benefit from. For example, algorithms can be used to predict crop yields and for dynamic price optimisation, blockchain can be used for providing transparency about the whole food chain and cryptocurrency used for receiving immediate payments. As an end result, small farmers can regain negotiating powers against distributors and compete globally. Individual entrepreneurs will become empowered once they are provided with the technology to educate themselves, resulting in the establishment and growth of fully optimised and successful businesses. ORS GROUP continues to dedicate itself to ensure that any entrepreneur with a dream will be able to compete on a global scale and in an autonomous world. Francisco Gimeno - BC Analyst Interesting commercial profile. AI with Blockchain can be a huge revolution in the making, empowering the real people and creating new structures of decentralised power and competition. Blockchain believers should see this as an exciting opportunity to work harder to create this new paradigm. The Fourth Industrial Revolution needs the thinkers but also the doers. Gibraltar has made a groundbreaking step towards the future of our global financial markets the government has been working with Ellul & Co to become the first jurisdiction to regulate blockchain technology also known as Distributed Ledger Technology. Trent Challis, who is an independent advisor on cryptocurrency had this to say on the new regulations: “I am delighted that Gibraltar has taken it upon themselves to show the world what necessary steps should be taken towards adopting Distributed Ledger Technology in a safe and meaningful way. With the demand for cryptocurrencies heating up worldwide, Gibraltar has made a groundbreaking step towards the future of our global financial markets. Ahead of all other countries, Gibraltar is the first to lay out a complete set of regulations for all forms of Distributed Ledger Technology (DLT). These laws will come into effect from the 1st January 2018. The news may come as a surprise to many who have been closely following the developments in other, larger nations, which are more dominant in the cryptocurrencies markets. However, by working closely with Ellul & Co Law Firm, Gibraltar will be setting the standard for other countries which need to take note and speed up their actions. Having only recently been announced, it is as of yet unclear as to how this move will shake up the DLT industry, but no doubts investors will see Gibraltar as a tantalising place to move some of their operations. DLT markets offer numerous benefits and exciting investment opportunities, but without regulation in place, criminal activity still plays an unwanted role. To see examples of the dangers of unregulated crypto markets, one needs to look no further than BTC-e which, in the six years it was active, was responsible for laundering more than $4 billion in cash. 38 year old Alexander Vinnik is still under custody regarding his actions, which have brought about a great deal of unwanted bad press surrounding DLT. Vinnik is certainly not the first to use Blockchain technology for illegal means and, without suitable global regulations, he will almost undoubtedly not be the last to do so. These new regulations will affect all areas of Blockchain, and, as such, all individuals and companies who utilise DLT to store and transfer values which belong to others. Blockchain technology is the very system upon which cryptocurrencies are based, and by regulating all individuals and companies using them, it sets the path for a far safer financial system for all parties. The Gibraltar Government, alongside the Gibraltar Financial Services Commission, has laid out nine principles that must be adhered to by all DLT firms. Amongst other things, these nine principles outline a need to protect customer assets, ensure the highest possible security protocol at all times, have suitable solvency plans in place to protect investors and customers, ensure proper protocol to protect against money laundering and other criminal activities. The Gibraltar authorities are well aware of the rapid change and expansion of DLT firms and so will review them all on a case-by-case basis. What this means is that, if they deem it necessary that certain businesses carry unique risks or threats, then the regulations placed upon them can be different to other firms. It should be noted that not only do these new regulations help benefit consumers, but they also play a crucial role in helping businesses prosper and flourish. Clear rules and guidelines remove any unwanted “grey areas” of legal activity and allow them to operate in confidence that they are obeying the law. It also allows them to compete with one another within the confines of the law and avoid being outmanoeuvred by firms operating illegal practices. Beyond setting up teams responsible for monitoring DLT firms, local authorities have also established an “Innovate and Create Team”. This team is there to discuss new financial business ideas and offer feedback and support in setting up in Gibraltar. This move is another great way to secure budding business growth at an early stage ahead of competing nations. “I am delighted that Gibraltar has taken it upon themselves to show the world what necessary steps should be taken towards adopting Distributed Ledger Technology in a safe and meaningful way. By taking these pioneering first steps, it is our hope that other nations follow suit and innovate in much the same way.”Cryptocurrencies offer an exciting new future for the way in which the world carries out transactions, and you only need to look at the soaring value of Bitcoin to see the incredibly high demand that currently exists. However, countries like South Korea, Russia and China seem to be taking steps to further restrict their use, rather than incorporate them and accepting change. Experts who understand these markets have warned that such measures will do little to reduce illegal activity, but instead increase it, as firms have little legal guidelines in which to operate. It is likely that, following this very recent announcement, nations like those listed above may be quick to review their plans. For now, however, Gibraltar offers the most exciting opportunity for new financially-savvy enterprises and it is likely that the “Innovate and Create Team” will have their work cut out for them in the months to come. Francisco Gimeno - BC Analyst Another report of good news today. Regulations are an integral part of human society, and in this Wild West which is crypto coins and the ICO world, what protects both companies, customers and administrations, without unnecessary constrictions should be welcomed.